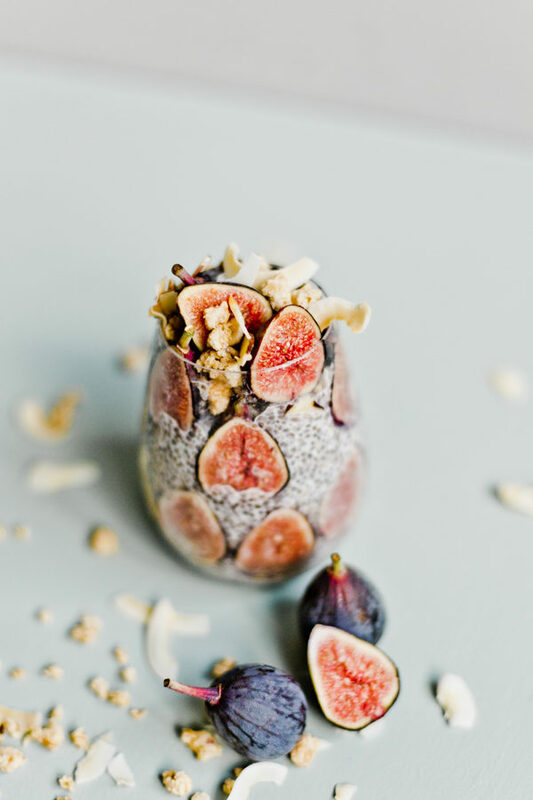 Is there anything that looks prettier for breakfast than a chia seed parfait? 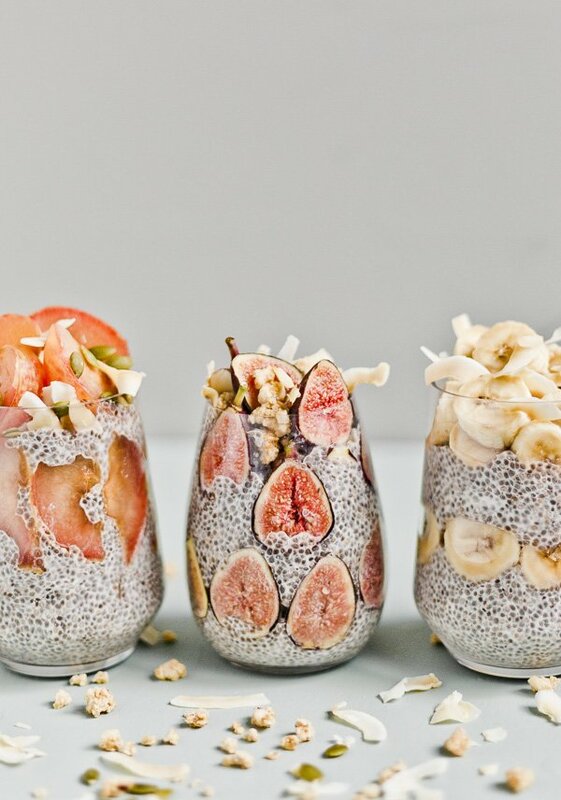 I mean…these smoothie bowls are pretty high on the list, but I don’t know…the chia seed might be winning out this round. What do you think? 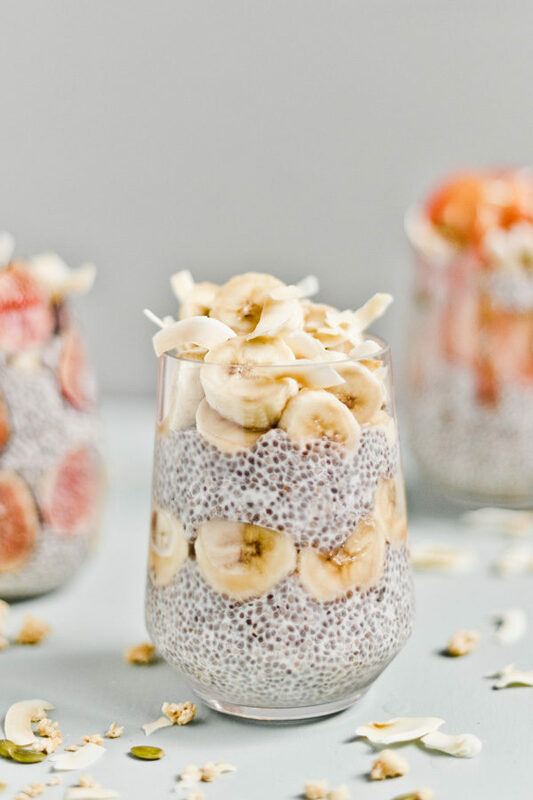 Pretty or not, chia seed parfaits are one of my faves because they’re filling and delicious. AND it’s one of those things that you can eat over and over again and just switch out the fruits for a totally different taste. V into it. What about you? Click through for the recipe. In a bowl, add 2 tablespoons of chia seeds to 1 cup of unsweetened coconut milk. If desired, also add one teaspoon of vanilla to sweeten OR use sweetened coconut milk instead of unsweetened. Refrigerate overnight. 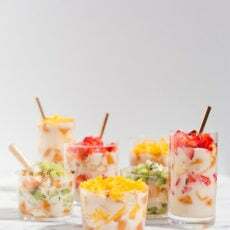 Once refrigerated overnight, slice fresh seasonal fruits up into small pieces. 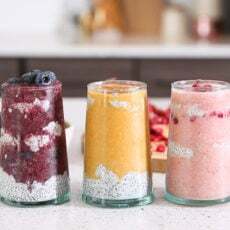 Add a layer of chia seed pudding to the bottom of a short glass. 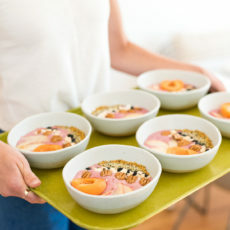 Then, sprinkle in fresh fruit, then another layer of chia seed pudding, then more fruit, etc. Top with granola, coconut shavings, pumpkin seeds, almonds, etc – whatever you’d like! 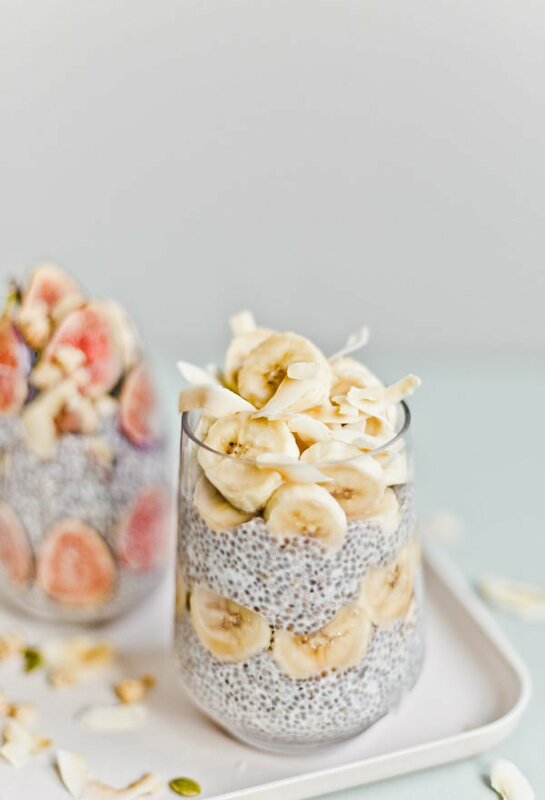 Are you a fan of chia seed parfaits? What kind of fruit do you like to add in normally? They look so stunning! 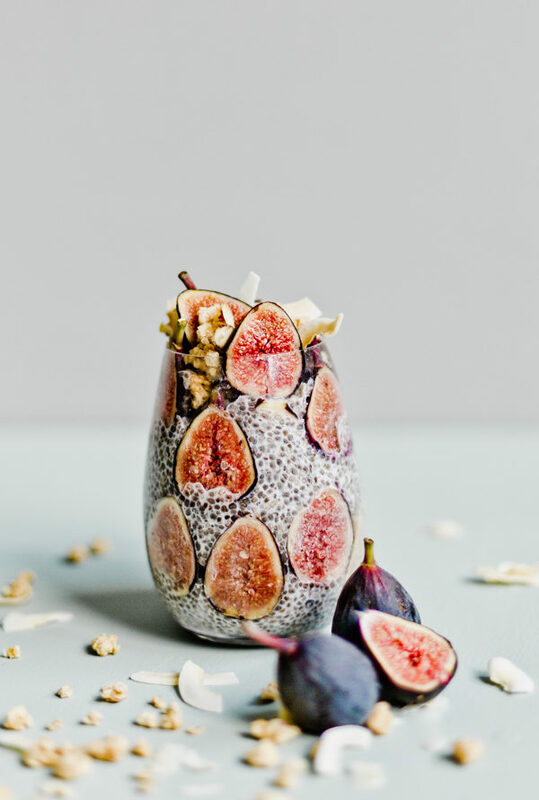 What a bit of fruit and chia seeds can do…and I bet it taste so good! 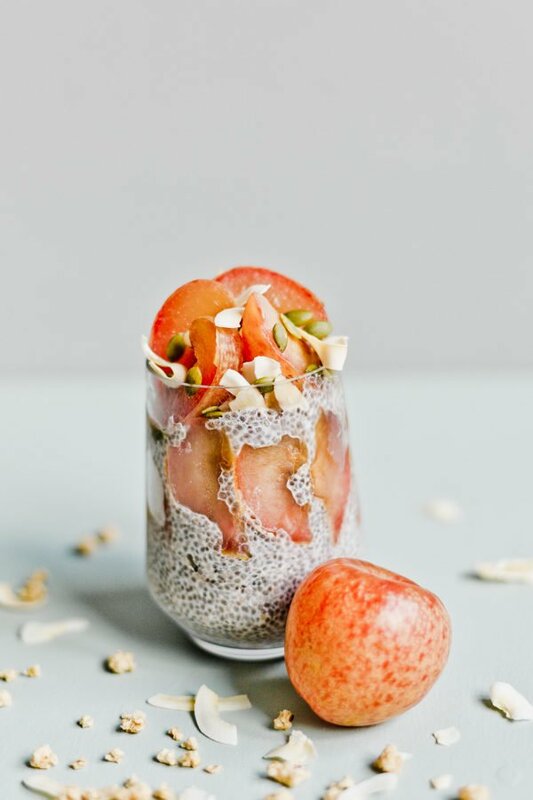 I’ve been researching about the healthy benefits of Chia Seeds, because some of my friends told me that it’s actually really good and healthy.. Hmm.. that looks good!!! So good. Thank you for the recipe.